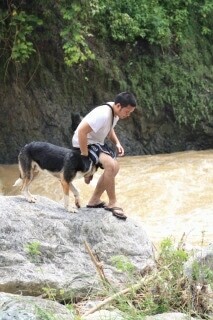 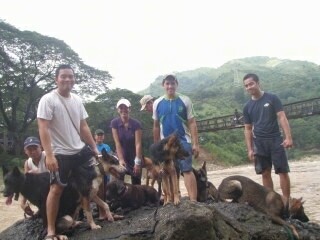 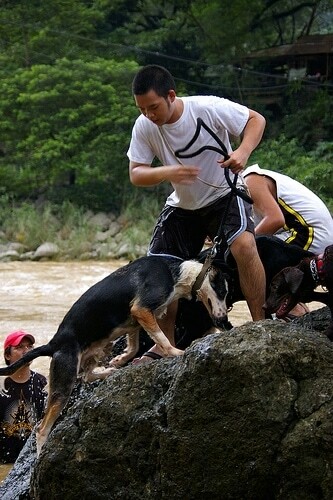 Dogs at a water workout and boulder training at Montalban, Rizal, Philippines. 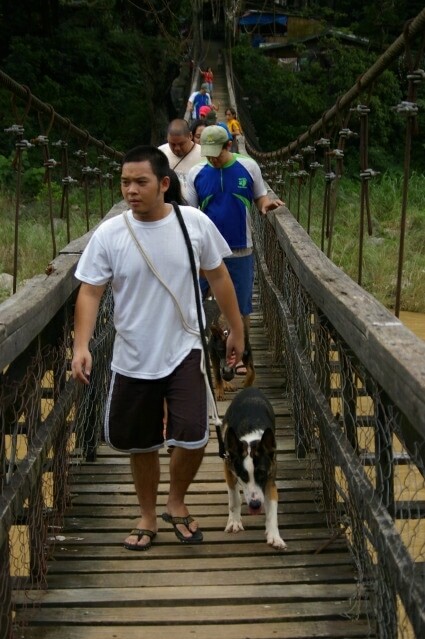 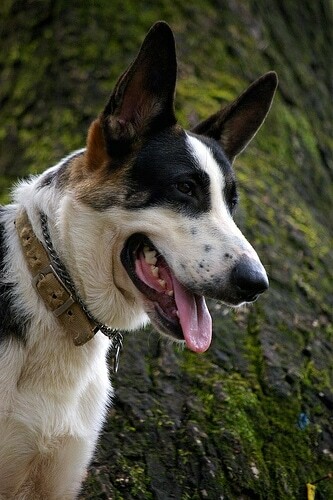 The dog in front is Hitman the Panda Shepherd. 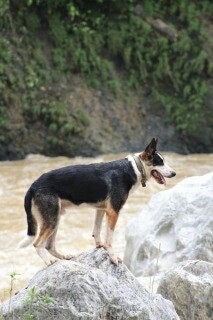 Exercise that also challenges a dog's mind is a great way to produce a balanced dog. 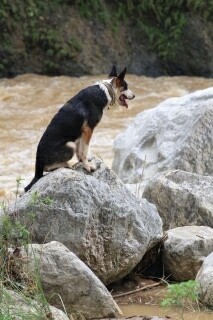 Hitman the Panda Shepherd coming out of the water after a workout. 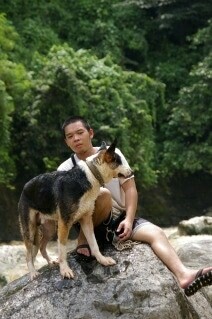 Hitman the Panda Shepherd receiving instruction from his owner. 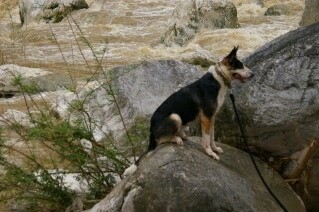 Hitman the Panda Shepherd on a large bolder surrounded by a rushing river.